New York City: Very early in the wee hours of the morning, a restless and clearly provoked Donald J. TRUMP fire bombed Tweets over the nation between 3am and 5am: it was a sight to behold. At this stage in the unfolding narrative of TRUMP’s latest reality show Make America Great Again, anyone who thought that he is holding a real political campaign with real issues and real facts and real election strategies has been thoroughly blinded by the Spectacle. 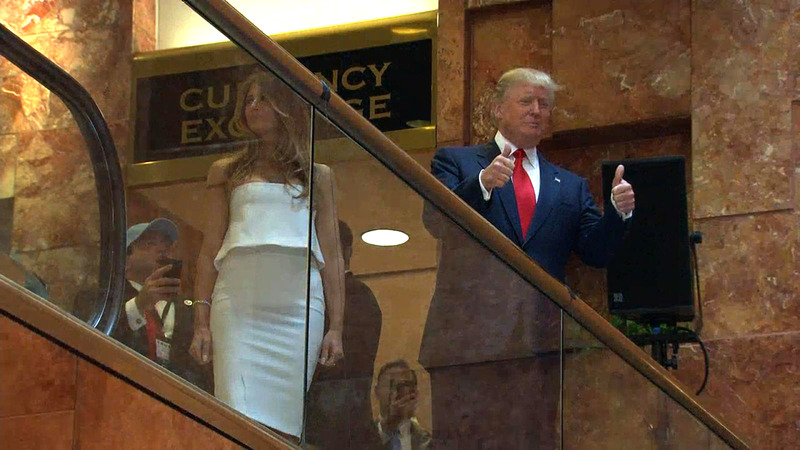 TRUMP had initially dispelled doubt of his intent to launch a traditional campaign at the precise moment when he inaugurated the Show while making his grand entrance descending the escalator at TRUMP Tower. But after 16 months of daily serial episodes, with artful performances staged at debates, news conferences, talk shows, rallies, et al, it is TRUMP’s recent deployment of Twitter missives that should end, once and for all, any speculation that he is making a run for the Oval Office. No, TRUMP has made very clear that he intends to be the leader of the free world, not as America’s President, rather, as its leading STAR, it’s top CELEBRITY ICON, it’s reigning TRASH TALKER. From high atop the gilded TRUMP Tower fortress with its commanding view of Manhattan, TRUMP continues to fire off volley after volley of Tweet blasts, exploding insults, rants, taunts, and whiny complaints with such sheer brute force that they never fail to fire up his commanding campaign officers, robotic surrogates, and vast army of Deplorables. TRUMP’s Tweet bombs are raining fire and brimstone over the land, at all hours of the day and night, exploding on screens, burrowing into the collective consciousness, numbing brains: all eyes glazing over. TRUMP is clearly winning the battle: Make America Great Again is a smash hit with 12 million Twitter followers, 100 million tv watchers, and 24/7 media coverage. No American President has ever received such riveted attention. As Donald TRUMP continues to wage his spectacular ratings war on America, it is predicted that the incessant firestorm of Twitter bombing will continue unabated until TRUMP’s shock and awe campaign has achieved total annihilation of America’s political system. We expect to soon see the Mission Accomplished flag flying high above TRUMP Tower.